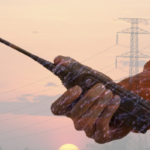 Using two-way radios to communicate on a job site is increasing in popularity. Many businesses are realizing the benefits to two-way radios. There are many areas or circumstances when no other form of communication works besides radio. 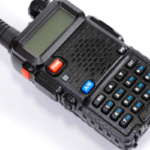 For all of these reasons and more two-way radios are greatly depended upon. Two-way radios are incredibly durable; many are even waterproof as well as dust and impact resistant. The most common thing that makes two-way radios unusable is an exhausted two-way radio battery. Understanding all of the details concerning two-way radio batteries will help you make sure your radio is reliable when needed. How Long Does The Average Two-Way Radio Battery Last? Most two-way radios come with rechargeable batteries that may be charged, used and recharged many times before becoming exhausted. There are many factors that influence how long a two-way battery will last. On average, a two-way radio battery will last between 18 and 24 months. Most portable two-way radios, including Motorola models, will operate with these types of batteries. Primary batteries are not rechargeable. They rely on a one-time chemical reaction to produce energy. Secondary batteries are rechargeable. They also rely on a chemical reaction, but a different one that can be charged and recharged many times. Nicad and Nickel Metal Hydride are considered secondary batteries. This type of battery is a more recent technological development that is similar to Nicads, and provides the same voltage. This type of battery tends to provide a longer charge but an overall shorter lifespan than most Nicads. This type of battery includes two plates per cell, one is Nickel and the other is Cadmium. It is these two metals that generate the option to charge and recharge batteries. -Capacity, how long a battery operates before it requires charging again. -Cycle life, how many times you can charge and recharge a battery before it no longer holds a charge. A battery pack may contain one of two different tier grades, premium grade cells or low tier cells. Premium Grade Cells last longer than Low Tier Cells, providing as much as 10% more capacity. This translates to about 1 hour and 12 minutes extra usage per charge when used in locations that are at or around room temperature. In regions that are below -4 degrees Fahrenheit, premium grade cells can offer as much as 80% more capacity or 2 hours and 46 minutes more usage before requiring a charge. Premium Grade Cells also offer 2.77 times more charges and discharges than battery kits that rely on standard grade cells. 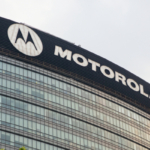 Motorola only uses premium grade cells in all of their two-way radios. Why Does Temperature Matter In Regards To Battery Life? Temperature impacts the effectiveness of your two-way radio batteries. The most common types of batteries perform best when used at room temperature. 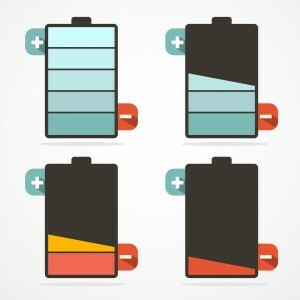 If batteries charge in a hot environment they may last 25% less time with a full charge. If charged in cold environments (below 4 degrees F) they can lose more than 50% charging capacity. As long as batteries are fully discharged and then returned to room temperature they will not endure any lasting effects and will once again hold a normal charge. 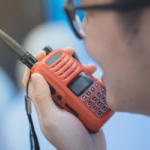 Memory effect is a common and largely misunderstand problem that impacts two-way radios. If a battery is only charging to the level it was last discharged, this might be your issue. For instance, if you only use a battery until it reaches 35% capacity and then recharge it, it may start to only accept a charge up to 35% capacity. That means that a battery capable of lasting 8 hours will suddenly only operate for a little under 3 hours despite receiving a full charge. This issue is caused by an accumulation of small gas bubbles as well as irregular shaped cadmium crystals that attach to the cell plates. If this has happened to your radio(s), contact your provider for a solution. You can prevent this from happening by using up all of the battery before placing it back on the charger. Where do I throw away old rechargeable batteries? NiCd and NiMH batters are both considered hazardous waste by the EPA. This means it is adamant that you properly dispose of two-way radio batteries in order to protect the environment. Contact your local Hazardous Waste Authority to find out where in your area you can take them for proper disposal.